This is the second time Rhett Riviere has owned the ocean cruising ketch FAR HORIZONS, built at Ennals W. Ives Shipyard in Taiwan in 1968. Rhett owned it at one time, sold it, and later bought it back. 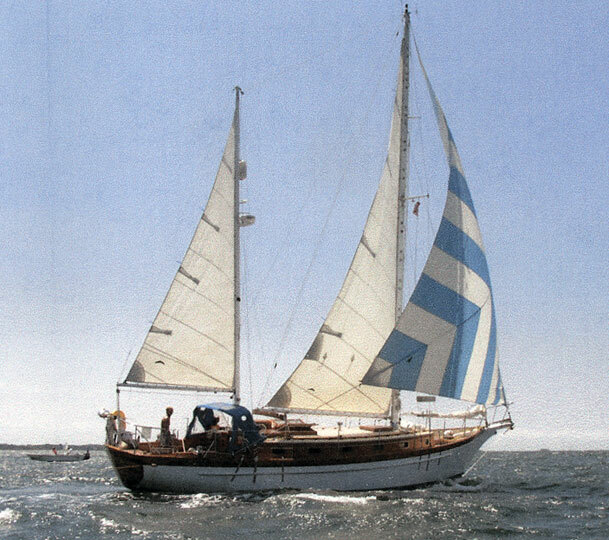 It needed extensive restorations before he could relaunch the ketch in May of 2004. He installed a new engine and generator, replaced the wiring, and built and installed new tanks. He hired Rick Waters of Noank Marine Service in Noank, CT to do the carpentry work, which included replacing several deck beams, carlins and the harpins, laying in a new teak deck, and replacing the coach roof with plywood and dynel. He also replaced the stem, beak, and bowsprit, and replaced many fastenings.